Born in Haifa, Israel, Dr. Anat Elami is a graduate of the Hebrew University Hadassah School of Medicine in Jerusalem. 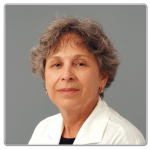 Dr. Anat Elami completed her training in Plastic and Reconstructive Surgery at the Rambam Medical Center in Haifa, and became board-certified specialist in 1990. Since 1991, she is a Senior Attending Physician at the Shaare Zedek Medical Center in Jerusalem. Dr. Anat Elami is an expert in Plastic and Reconstructive surgery, including the diagnosis and treatment of skin nevi and tumors and subcutaneous lesions. Dr. Anat Elami has a private clinic in Beit Hakerem, Jerusalem. For any additional information, please contact us by phone or use our contact form.